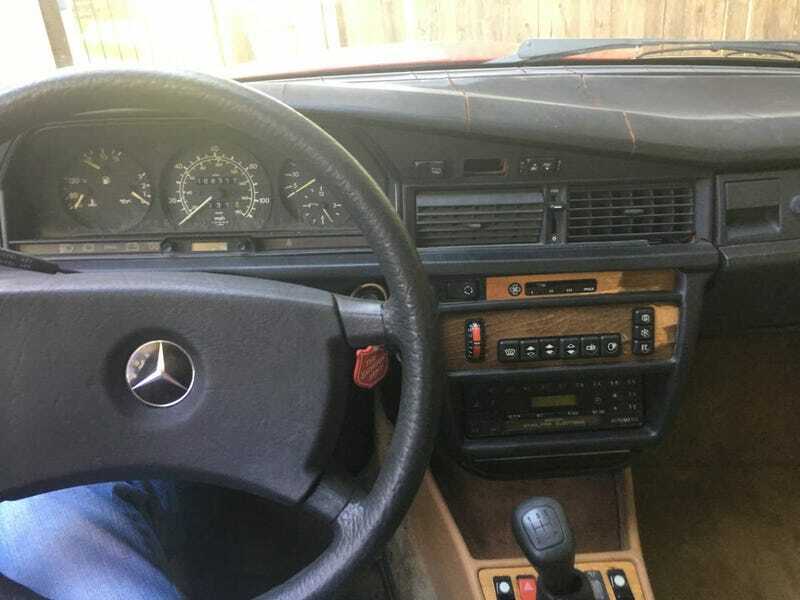 Because of who I am as a person, I went ahead and called up the seller of the aforementioned diesel manual Mercedes. I have some thoughts about this huge lump of German iron. Note: I somehow managed to take no photos or video so I’m going to make do with what is in the ad and what I can find online. First of all, there is nothing quite like the clatter of a Mercedes diesel. Unmistakable and kinda fun. When the seller turned up, i didn’t really know what to expect from this 260,000 mile creature, but it did show up under its own power, which was a nice touch. The seller was a friendly older gentlemen who is selling the car on behalf of his father, the original owner. I didn’t catch more of the story because, frankly, I was here to see the car and also I am terrible with people. After a once-over, I took it for a quick test drive and I’ve got to say I was impressed. Despite having a lot of deferred maintenance and a mere 70 horsepower on tap new, this thing wasn’t as slow as I was expecting! That is in no way to say it was fast. It is not fast. It is very slow. But with a power-to-weight ratio of only 60 hp/ton, it wasn’t as slow as I expected. That said... that is where the good surprises end. The interior was shot. The seats and headliner was in good shape, but literally everything else was faded, cracked, or peeling. The AC was, of course, inop, and the heater was stuck on full. The power windows worked, but the switch for the sunroof had decided to go play hide-and-go-seek inside the dash. Also the cruise control and turn signals were inop. I didn’t try the wipers, but I wasn’t going to hold my breth. The blower worked, but the knob was missing. All the gauges worked, so there is that. The exterior was very straight, but the respray the seller claimed it got about 12 years ago was poor, with overspray visible on the seals and undercarriage. Boo. I want to want this car. Engine, body, and transmission are a great combo. Literally everything else lets it down. The seller did offer to sell it to me for $1,400 but I just don’t think I would give that car the attention it deserves. You can find the ad on Craigslist here, or here if it goes down. One of you guys (or gals) should buy this thing!